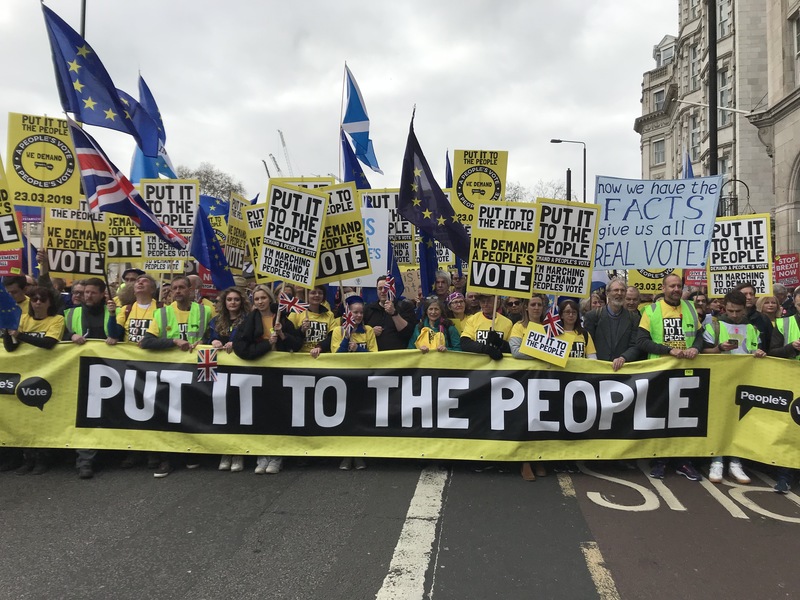 A large number of Stonesfield residents travelled to London on Saturday morning to join over one million other people on the ‘People’s Vote’ march on 23rd March. Trains from Oxford were packed with Oxfordshire residents who wanted to make their voices heard in London. 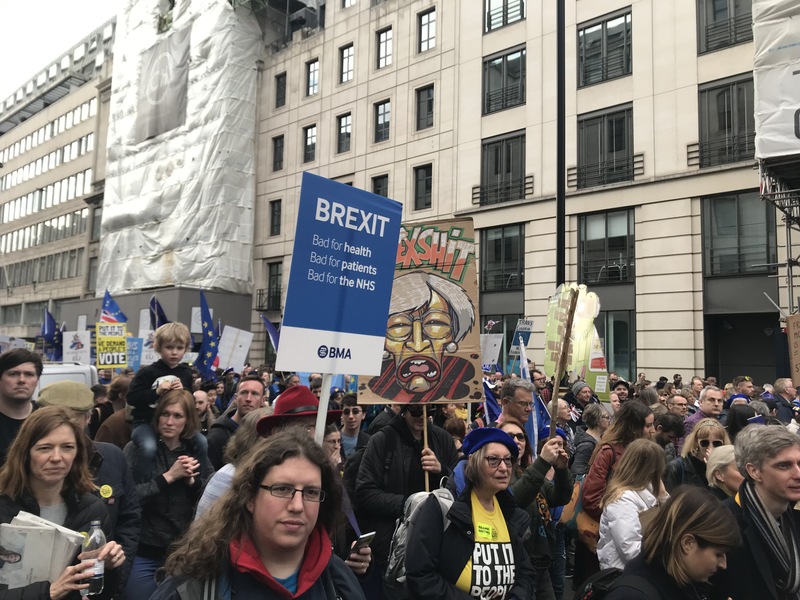 The march started in Park Lane at 12.00 and it was four hours later that the final marchers crossed the start line. Young and old, and everyone in between, from all over the country were there. People chatted and swopped stories. 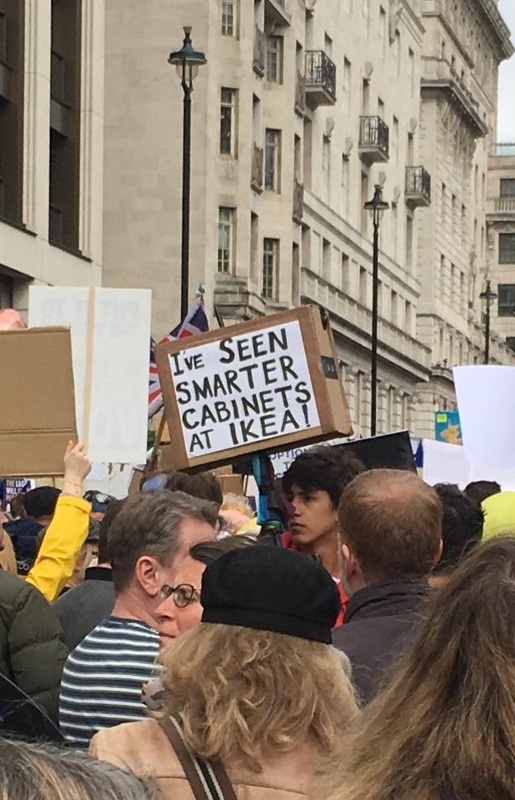 Many signs were admired, especially the home made ones which showed creativity and wit. 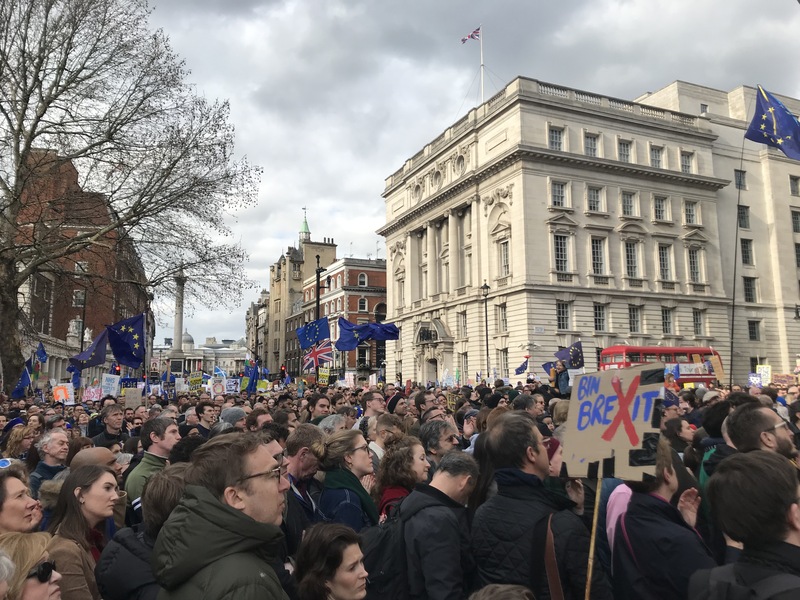 Not all the marchers could make it into Parliament Square to hear speeches but big screens along the route relayed the messages to one and all. When it was finally all over, a million people made their way home. It was standing room only on the trains back to Oxford as tired, but still chatty, marchers contemplated their future.